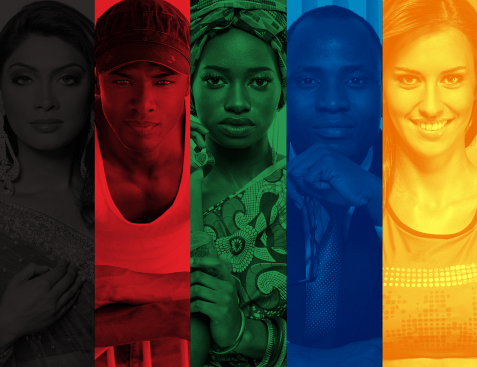 As a company, Eveready feels responsible for finding new ways to better our products for consumers and while doing so, take responsibility for the environment which we are all accountable for. We do this by implementing environmentally friendly practices such as recycling to minimise the amount of waste and to help reduce our carbon footprint. We also make use of advances in technology to help reduce our carbon emissions, which is why we are excited to announce our NEW LED 7-watt and 10-watt Bayonet lighting range, which not only provides environmental advantages but also helps you to save money on electricity bills. New LED lighting what’s the difference? People are always looking for new ways to cut back on expenditure and save money and one great way to do this is by cutting back on electricity bills, by switching to our new LED lighting. Cape Town’s State of Energy Report indicated that households can save 20 to 30% of their electricity consumption by having the right light bulbs in their home. By changing to our new lighting range you will not only cut back on bills but will also help beat global warming as research has shown that light used for homes and offices is a major cause of climate change and also creates "light pollution” which washes out starlight in the night sky, interferes with astronomical research, disrupts the ecosystem and has health effects and wastes energy. 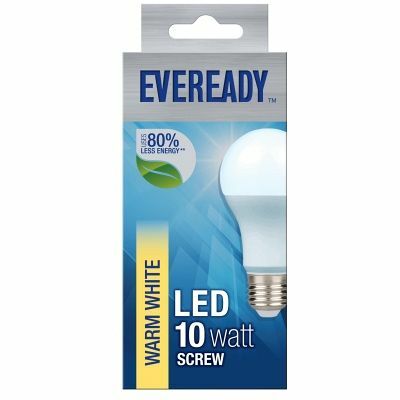 Eveready’s new LED lighting is 80% more efficient than Eveready’s incandescent lamps. The new LED lighting is also seen to draw much less power than incandescent lamps, this also helps reduce the demand from power plants and decreases greenhouse gas emissions. 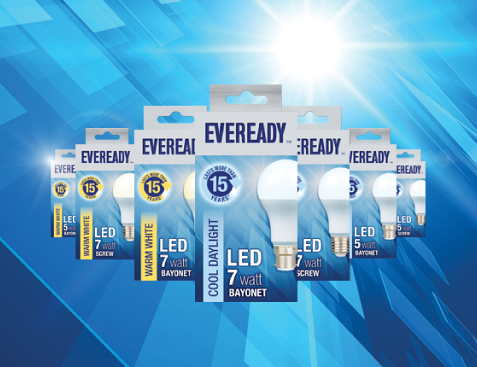 Our new LED lighting range is seen to last six times longer than other lights, this helps to reduce the number of bulbs you replace and purchase. The longer life span is also seen to help lower carbon emissions as the use of using fewer lights means fewer resources are needed for the manufacturing processes and packaging materials. You will also reap the advantages of your light bulbs lasting much longer as the new LED lighting range last 20 000 hours. No toxic waste like Mercury is found in the new LED lighting, therefore, it helps to protect the environment from further toxic waste. LED lighting offers you a better quality of light distribution, therefore, less LED lightbulbs are needed to achieve a similar level of brightness given by incandescent lights. This will also benefit the environment as fewer lights used in your home will help reduce your carbon footprint. Make the change today and switch from incandescent bulbs to Eveready’s energy efficient LED’s, to help save money and to join us in our mission to reduce our carbon emissions on the environment through implementing ‘greener’ lighting.